There are three "R" words–retention, repurchase and referral–that can help your company survive and thrive during the "R" word that's plaguing our economy, the recession. As costs are chopped and expenses shrunk, companies must understand more than ever the importance of customer loyalty, word-of-mouth and the profitability associated with promoters, and how to create a strategy to ensure your company comes out of this downturn ahead. Forrester's new study, "Customer Experience Correlates to Loyalty," emphasizes the importance of the three R's. According to the study, which surveyed 4,500 U.S. consumers of 100 companies, consumers who have a good experience with a company are more willing to repurchase, less likely to switch to another company and will likely spread positive word-of-mouth. So how do you get buy-in from executive management? Sometimes convincing your decision makers can be difficult when the predominate attitude is to trim costs. A 2009 CMO Council report, Giving Customer Voice More Volume, found that while 59 percent of the more than 4,000 executive respondents said they have a CEO-driven customer centric culture, only 25 percent have a formal voice of the customer program. Retaining customers is profitable. Even small percentages can mean big returns. According to the recent Forrester report, FedEx noticed this first hand when customer experience professionals found that a 1 percent improvement in customer retention resulted in $100 million in revenues. Looking inward at your current customer base is both profitable and strategic. A recent report by the CMO Council found that of the organizations queried, 76 percent weren't fully realizing the revenue of current customers. Above all, delivering a positive customer experience encourages repurchase. Customers who repurchase do this because they want to patronize a business. Encourage loyalty by improving experience and you will increase purchase habits. Net Promoter programs do a great job of proving the correlation between word-of-mouth referrals and financial outcomes. Recently, Satmetrix released a study measuring the economic benefits of word-of-mouth in the wireless industry. The financial benefits associated with word-of-mouth referrals were impressive. Promoters in the wireless industry accounted for roughly one-half of new customer acquisitions, and had a worth of $1,700. On the other hand, Detractors can cost a carrier up to 1.28 percent of a new customer through negative word-of-mouth, creating a net loss of $300. Focusing on customer loyalty is more important than ever. Now that customer adoption is more difficult, delivering a positive customer experience can give companies a valuable edge in keeping and growing customers. When the economy emerges from the tough economic state, consumers will remember those companies who helped them through and will continue to visit the check out line. 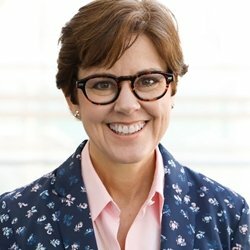 Deborah Eastman is the CMO at Satmetrix.